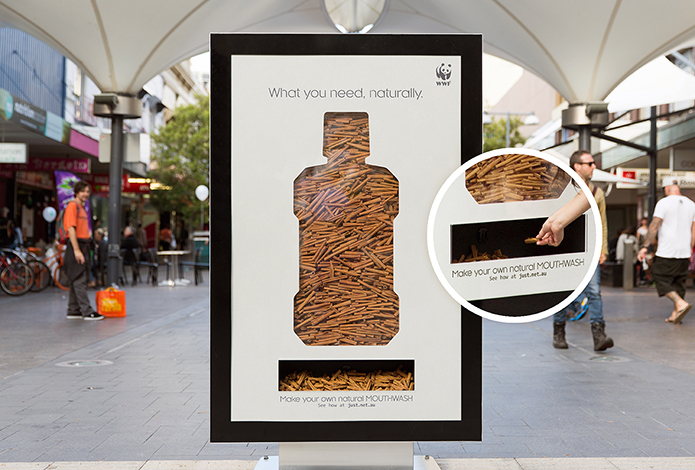 Sydney based studio, Leo Burnet, have created an exciting new campaign for WWF, encouraging people to think outside the box and find a world of simple, natural and sustainable alternatives to everyday products. 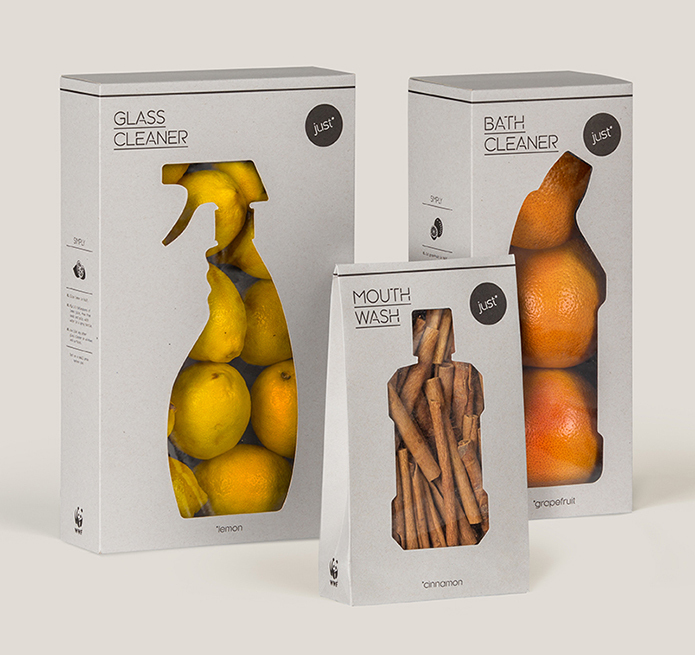 Appropriately named just*, these quirky new products are an alternative to the typically used household products like bathroom cleaner and mouthwash. The packaging is completely stripped back using 100% natural and biodegradable paper cartons and simply contains raw products as natural solutions. That’s it. 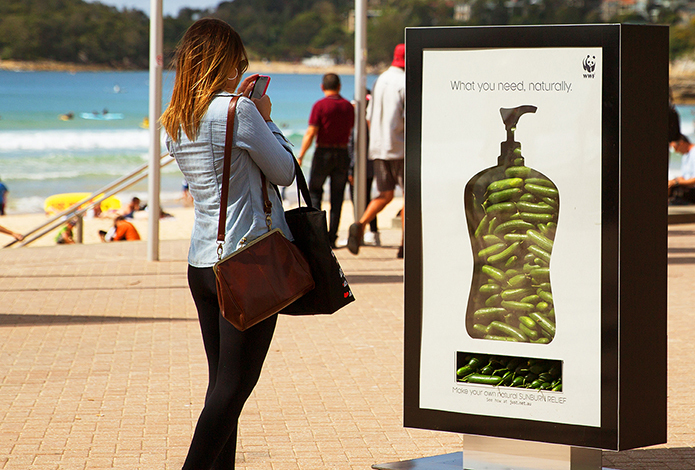 There is no use for plastic bottles and the chemical products that usually come inside. 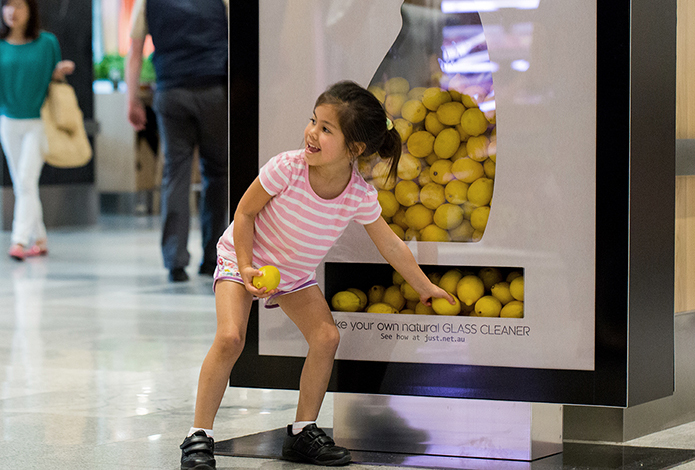 Real lemons to make your own glass cleaner or natural cucumbers for sun relief – it makes sense. 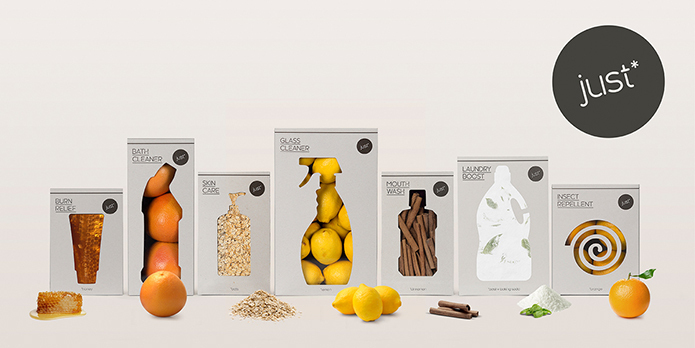 I love the clever juxtaposition between the die cut window of distinctive bottle shape and the natural items like lemons and cinnamon hidden inside. Will consumers do what they say they will? Habit is key. The new perils of refreshing your brand.